We are excited to offer studies that equip you to learn and apply God’s Word to everyday life. As followers of Christ, we are best equipped to carry out God’s mission of making disciples when we know and live out the principles of Scripture. Our Wednesday nights and Sunday mornings studies work in conjunction with our weekly small group ministry to help you mature as a disciple. Please check out the links below for studies that equip you to understand God’s Word better and live out His truths in your marriage, family and everyday life. This classic Christian book written by John Bunyan is about discipleship and the Christian life’s difficulties as well as triumphs. It still has a lot to say to Christians today. But it helps to have someone explain it. Join us as we walk through a video study of this book led by Derek Thomas. Often finances are the single biggest source of stress in our life. Dave Ramsey’s Financial Peace University has a long track recording of helping families reduce debt and gain control of their finances. Join us for this 10 week class as we all seek to be better stewards of the resources that God has provided. *Single Family Cost of $119 for supplies via the link below. The Power of Together will help lead you to discover the Christian life you’ve been missing. 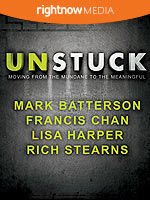 This nine-week study will reveal what discipleship really means and how love is a mark of spiritual maturity. We will explore key scriptures and engaging questions for reflection and discussion. The Gospel of John was written to prove that Jesus Christ is the Son of God. 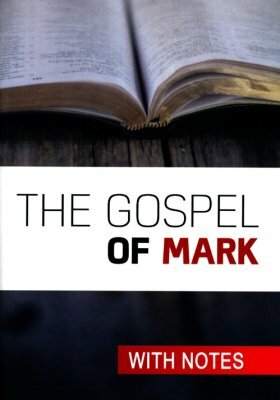 Written for new believers while containing an amazing depth for those familiar with the Scriptures, the Gospel of John helps all of us know and follow Jesus. We’ll discover the context of the times in which this amazing gospel was written, take a look at the author himself, and spend precious time with Jesus as His story unfolds through the Spirit-inspired words of John the Apostle. Building relationships and encouraging one another to follow Jesus. Email: Biblestudies@TheMET.Church for more information. Travel through Thessalonica with Paul and experience how he encourages the Thessalonians to endure tough times together as they center around Christ. Many people would answer that question without hesitation—yes! But God, more often than not, does some of His most significant work through His forgotten few, as this study reminds us. An in-depth study of the book of 1st John for every woman longing to live out the unconditional love of God. These lessons are designed to provide the learner with biblical knowledge and understanding of God’s word and how to make a practical application that will lead to a transformed life which will have a positive effect on the family, community, county, city, state, nation and the world. Become equipped to mentor and come alongside other women as you journey through all seasons of life. Nuestro ministerio Hispano tiene dos horarios, alas 9:30 AM y 11:00 AM en el cuarto C550. La clase sobre el estudio bíblico es alas 9:30 AM. La música de adoración y el mensaje sobre la Biblia es alas 11:00 AM. Our Hispanic Ministry meets at both the 9:30 and 11:00 service times in room C612. El libro lo pueden comprar en Lifeway o en el internet. Learn how to create a special Bible for your children and be ready with instruction from the Word of God for use in everyday life. Living a fulfilled life is not just about money. It’s about far more than money however when this precious resource is not understood or managed well it has a tendency to steal other aspects of our lives that also bring value. The life lived in abundance that is described in God’s word is a life lived in a way where this resource known as money is no longer the thief of our joy, our peace, our imagination or whatever it is stealing from your life. Let’s work together to make a plan for our finances. Better yet, let’s make a plan that speaks to a life lived abundantly. A life that brings into focus our efforts, engages our imagination, prevents distractions, and keeps us moving towards our goals and His goals.